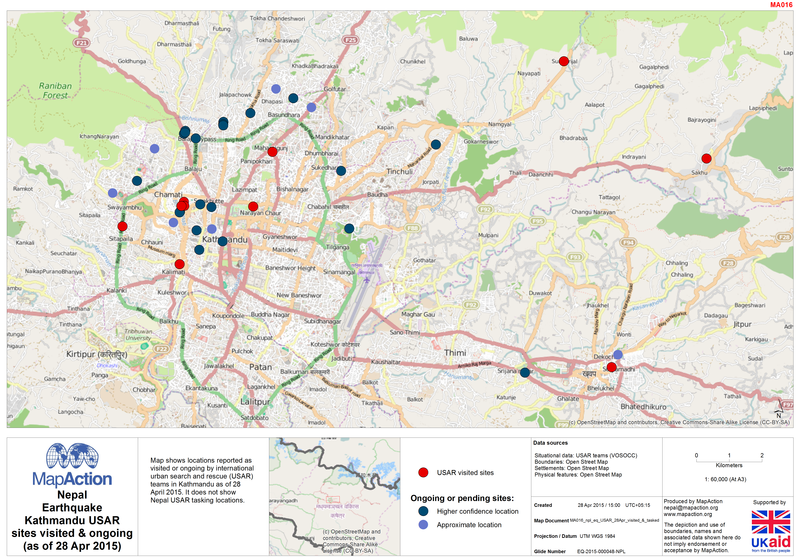 Map shows numbers of collapsed and partially damaged public buildings by district. White areas have zero numbers, grey areas have no data. Map also shows earthquake epicentre. 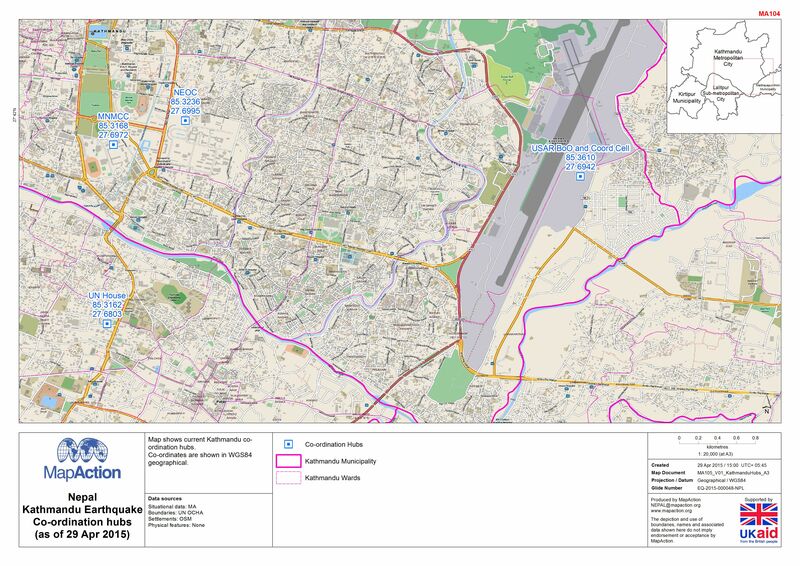 Map shows current Kathmandu coordination hubs. Co-ordinates are shown in WGS84 geographical. 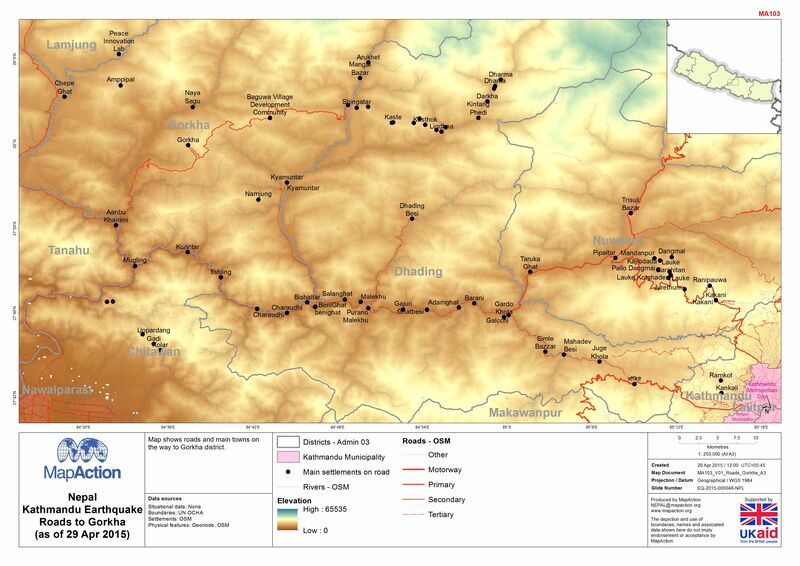 Maps shows roads and main towns on the way to Gorkha district. 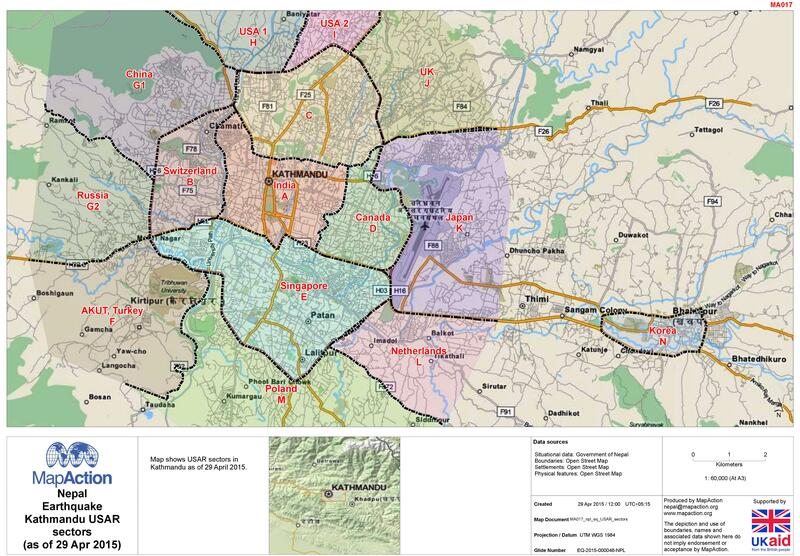 Maps shows roads and main towns on the way to Dhading district. 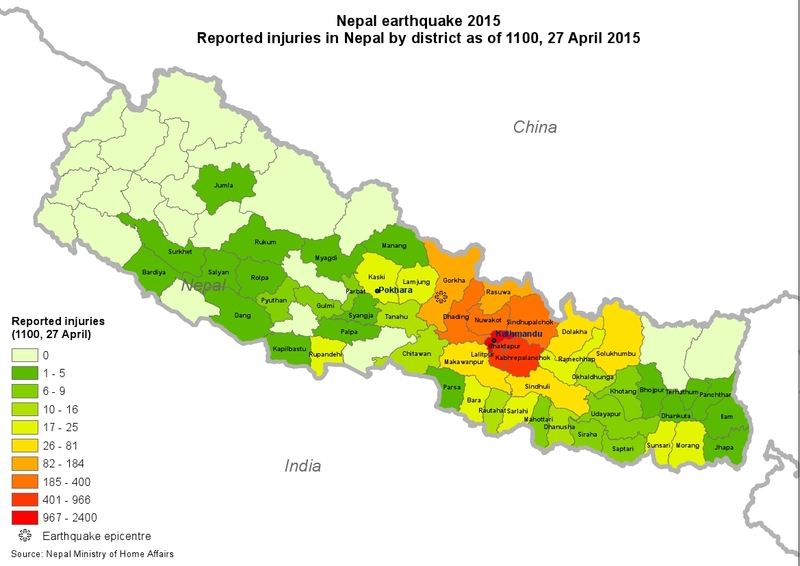 Map shows the early reported number of injuries by District in Nepal. 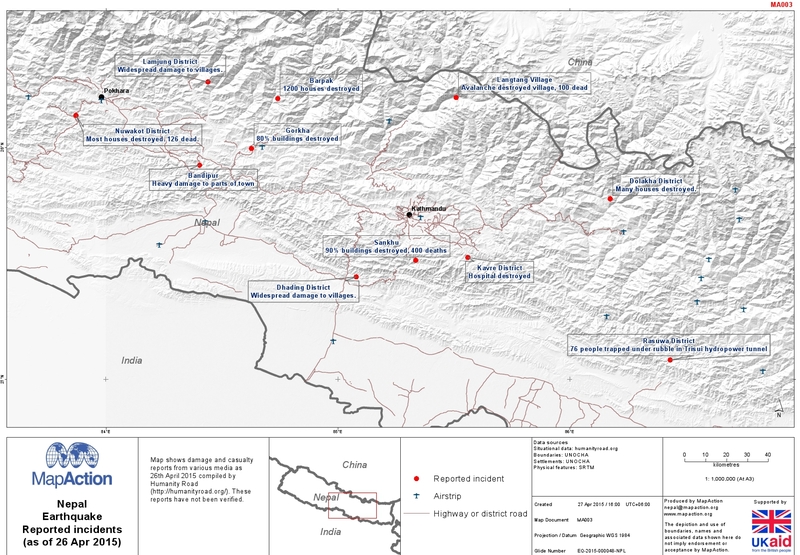 Map shows damage and casualty reports from various media as 26th April 2015 compiled by Humanity Road (http://humanityroad.org/). These reports have not been verified. 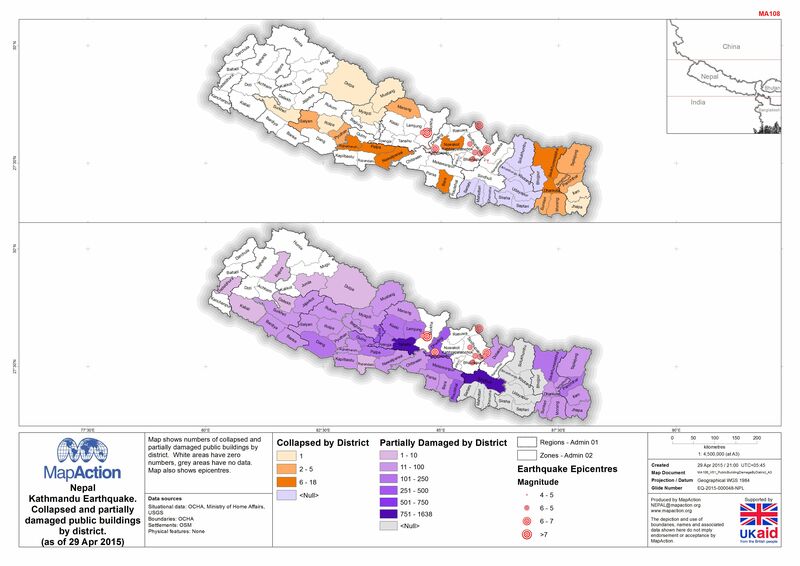 Map shows the early reported number of deaths by District in Nepal.